Overview: The Emergency Unit (EU) is the Hong Kong Police Department’s first line of defense. The team is always the first to respond to emergency situations, and to turn crises into opportunities has always been their goal. EU Sergeant Ling San-fung (Tracy Chu), top of her class, understands this principle more than any other. 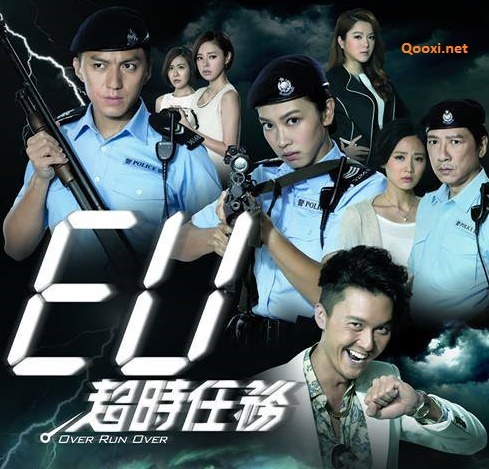 She is never late to a call, never absent, and races against time to prevent delays and mishaps for every case.While engaged in an intense shootout with a criminal, San-fung comes across village leader Kwan Ding-ming (Vincent Wong), who is everything but helpful. Not only does he cause the criminal to escape, San-fung also fails to save her father in time—her father dies instantly from a stray bullet, right before her eyes.Then, the unthinkable happens. San-fung suddenly travels back in time to April 1, three days prior to the incident. She uses this new time traveling ability of hers to save her father, but this results in a series of chain reactions. Ding-ming discovers San-fung’s secret, and uses this opportunity to partner up with San-fung to investigate moles in the police department.But San-fung quickly finds out that she was never the only one with this unique ability. Her boyfriend Kwok Sheung-ching (Benjamin Yuen), EU leader Chan King-wai (Pal Sinn), and her news reporter friend Lee Chi-ting (Zoie Tam) get pulled into this supernatural power as well. But this abuse of power disrupts timelines, and a series of unpredictable events unfold. If the past can be changed, can the future be controlled?